Park Rx is a national movement for doctors and healthcare providers to initiate the conversation with patients about the health benefits of spending time in nature through prescriptions for outdoor time. 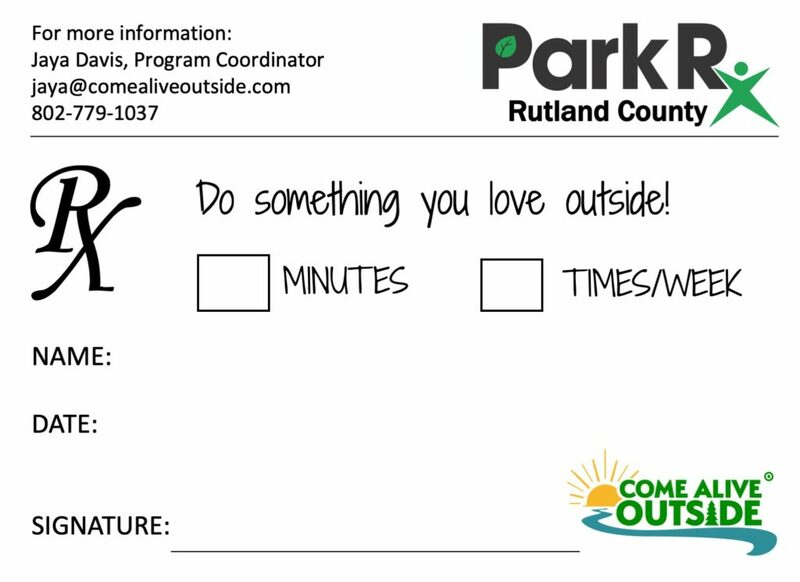 With support from the Bowse Health Trust, Come Alive Outside administers a pilot Park RX program in Rutland County, VT that provides unique support to participants after they receive an outdoor prescription from their doctor. We engage cohorts of participants for 12-week intervals and support each patient with one-on-one weekly health coaching, as well as tools for tracking progress towards their goal.